Broadway Pizza, founded in 1953 has several neighborhood chain restaurants which offer banquet services and food. Broadway pizza, Champlin is one of the branches which serves their famous pizza baked using a secret recipe which originates from Italy. 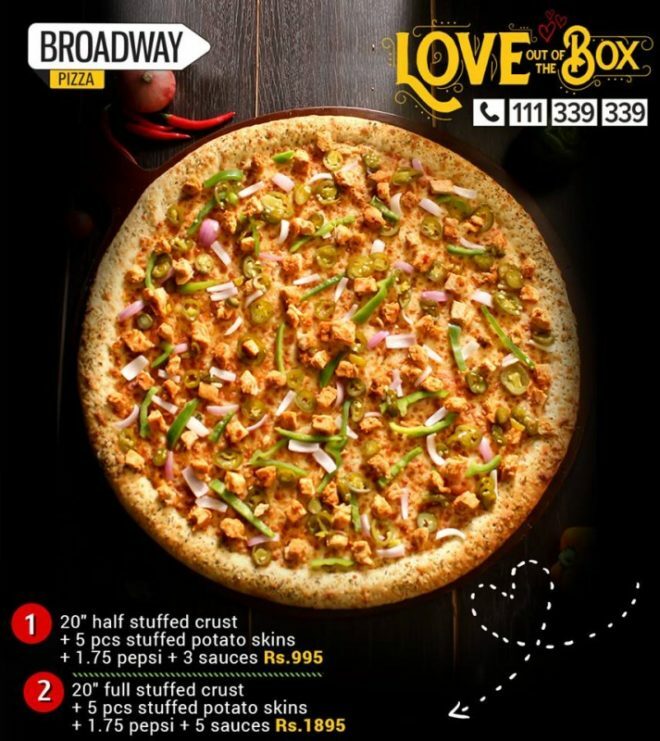 In addition to pizza, a vast menu which includes pasta, burgers, hoagies, chicken salads, appetizers, soups, sandwiches and desserts is also available. Basket buffets, takeouts, kids meals, and delivery are what you will enjoy. Keep reading to find out more about this incredible place. A great menu: There is always so much to choose. The meals are ever delicious; pizza varies depending on your country of origin. Their meals include cheese bread, spaghetti, and meatballs, and macaroni served with fries, grilled cheese, baked lasagna, Fettucini Alfredo and chips for the kids. For beverages, orange, pineapple, grapefruit, apple and tomato juices, hot chocolate, iced tea, coffee, and root beer gets offered. On Monday, family night dinner buffet, kids 10 or years younger eat for free from 5 pm to 7:30 pm for every meal purchased. Double punch lunch where you can receive double punches on your lunch punch card at 11:30 pm is also on offer. Tight Wad Tuesday, once you buy one large pizza, you get to receive one half for free. Sunday, meat raffle at 3 pm and senior citizen day 15% off your order is also a great offer. You don’t have to worry about food poisoning because the meals get prepared under high hygienic levels. The restaurant is spotlessly clean. The Chefs and staff are professionals trained on how to handle food during preparation and when serving you. The staff is always ready to attend to you. They are also friendly and easy to interact. They respond quickly to your order and are still attentive. What you order for is what gets delivered. You will get to taste pizza for free and settle on the one that suits your taste buds. Whether you want thin, crust, New York, or deep dish pizza, rest assured that you will have it. You will get served freshly baked hot pizza, and it is always perfectly cooked, and a top-secret recipe gets used. Broadway Pizza Champlin has the most decent pizza, and it’s affordable. Prices range from $2-$15; you can comfortably take your family and friends for delicious meals which you can quickly pay. You will experience luxury dining at a little cost. The Saturday night magician is always available to entertain you. You can also opt to engage yourself in various games like Bingo, He is funny, and you can never guess his next trick. You will even get to watch sports on the TVs. You don’t have to visit the restaurant to have your meals physically. Just order online for anything you want, and it will get delivered to your doorstep. You will get a confirmation email, and your order will arrive shortly in less than 25 minutes. There is nothing better than having a facility which can get easy access by people who get confined to a wheelchair. You will have to take part in activities inside the restaurant too, and as well enjoy your meals and the cool music. Broadway Pizza Champlin Open daily at 10 am and closes at 4 am. You can get meals delivered or request a takeout if you don’t feel like having your dinner or lunch at the restaurant. For people who work late night, this is the ideal place to purchase your food as its open even in the odd hours. There is plenty of space at Broadway Pizza Champlin. Large groups of people can get accommodation. There is also enough parking space for those with cars, and you can park on-site. The place is suitable for birthday parties, wedding reception, conferences, baby showers, graduation parties and many more events. Your guests will also enjoy the finger-licking foods served. Everybody will get to enjoy the meals as it is well balanced. You don’t have to worry about your health. You can eat anything on the scrumptious menu. Everything is well catered for because you are always on the chef’s mind. You will always stay connected to your social media, and you can also respond to your work emails. You just have to sit back and remain relevant. The wifi is unlimited; therefore, you can browse as much as you want. You can sit outside with your friends, coworkers, or family and enjoy the summer sun. The staff will gladly attend to you wherever you choose to sit. You will also have an attendant seated near you in case you want an immediate response. The staff gets trained to deliver excellent services. You can call for a ticket, and you will have time to finish up your endeavors and later walk in and sit at your reserved table. Booking for groups is also allowed. You can casually dress as you are coming over to have fun and you should wear whatever you feel comfortable. You don’t have to wear suits and ties! Root beer and other types of liquor get provided along with meals. You can wind up the evening with a bottle of beer as you chat with your friends and family. However, beer gets strictly sold to adults only. Although not a purely vegetarian restaurant, Broadway Pizza, Champlin has plenty of vegetarian and vegan options on their list. California veggie, veggie works, and roman veggie are always available, and they are tasty too. Broadway Pizza Champlin has always been the ideal hangout joint for groups, friends, and family. You can ever expect decent pizza and excellent meals at an affordable price. The service is fast and friendly. You get what you ask. Consistency and staying true to the customers is their core value. Plenty of pull tab action at this place is what you will always experience. If Santa happens to come over, you can take a free photo with him. The site gets highly recommended, and you should plan a visit.